Is the Newly Merged AOL On-Track to Be a Top-Three Internet Player? 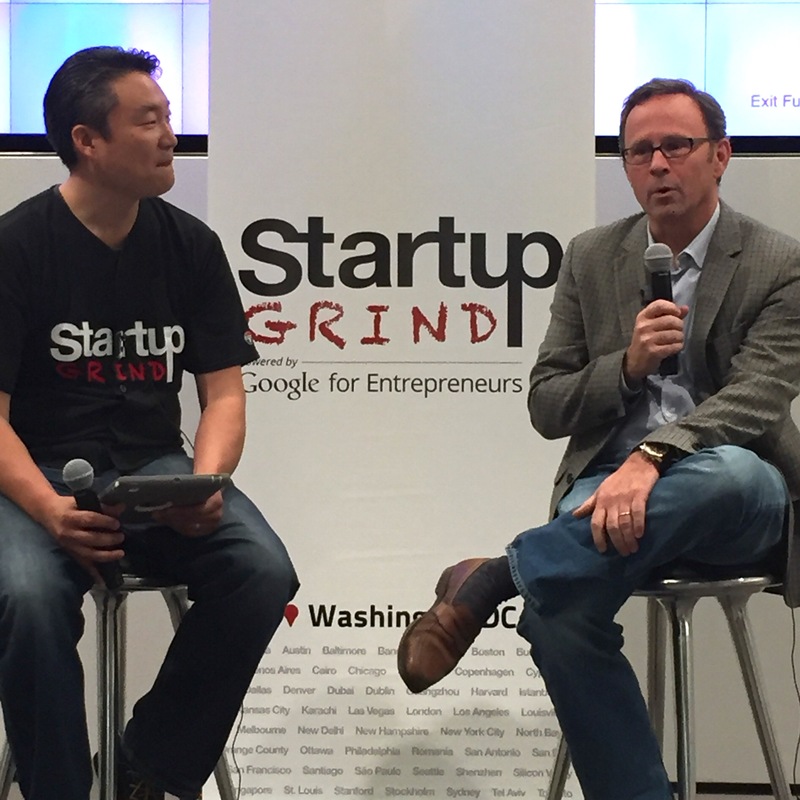 AOL CTO, William Pence, (Right) and Startup Grind DC director, Brian Park have more in common than AOL. William “Bill” Pence has always been a tinkerer who loves a good challenge, starting with his first piece of software for the Commodore 64. Looking back, he’s amazed he survived doing physics experiments on his parent’s old television set. He came down from his home in New York City to tell the crowd at Startup Grind DC about his latest challenge: In April 2014, Bill signed on as AOL’s Global Chief Technical Officer. AOL who? Yes, they get that a lot. “Just wait,” Bill says. Since the AOL/Verizon merger, AOL’s reputation hasn’t caught up with its new status. The $4.4 billion deal in May to combine the largest mobile network provider with one of the world’s top five internet properties has the potential to dominate. Bill had watched AOL spin out of its failed Time-Warner merger and make moves under CEO Tim Armstrong to acquire “disruptive, innovative contemplators” such as Huffington Post, TechCrunch, and Engadget. In addition to news and other content, AOL’s platform currently delivers online video services and ads. AOL is on it, developing video shows for millions of smartphone and tablet users. After 25 years in the technology business, Bill understands the importance of timing. He recognizes the Verizon/AOL merger as a strategic fit for a mobile world. It is the telecom giant’s opportunity to use a proven platform to keep its sales pipeline filled and stream new products and services as the mobile market matures. Bill has an affinity for disruptive startups. He has a B.S. in physics from UVA and a PhD in electrical engineering from Cornell. He was raised in northern Virginia, where the Pence family has lived for a couple of hundred years. After a decade in IBM’s research arm, he joined the dot.com world with online music pioneer Napster (2003-2007). He recalls Napster’s push to get beyond the difficult U.S. music industry. Bill spent the next nine years as CTO, then as COO, for content publisher WebMD. He’s particularly proud of “Naked Man,” a symptom checker feature that hypochondriacs find irresistible. As the world went mobile, the possibilities for delivering content and services expanded. The world is moving towards an integrated delivery system. Unlike Facebook, which is a closed ecosystem of user-provided information and Facebook reporting, AOL has an open approach to working with others. For example, ONE by AOL allows advertisers to bring in their own data. AOL is one of the top five Internet properties on the planet, so there’s scale, but day to day Bill says they have to break down barriers. Since he arrived, Bill has helped move the company to gmail and Google apps, and rolled out Slack to its enterprises. As to the big picture, AOL joins industry giants, like GE, in transitioning 100% to the cloud. It’s going to take years to do it responsibly. Something in the Water at Loring AFB? Most Startup Grind interviews go through the requisite guest bio. Where are you from, what did your parents do? 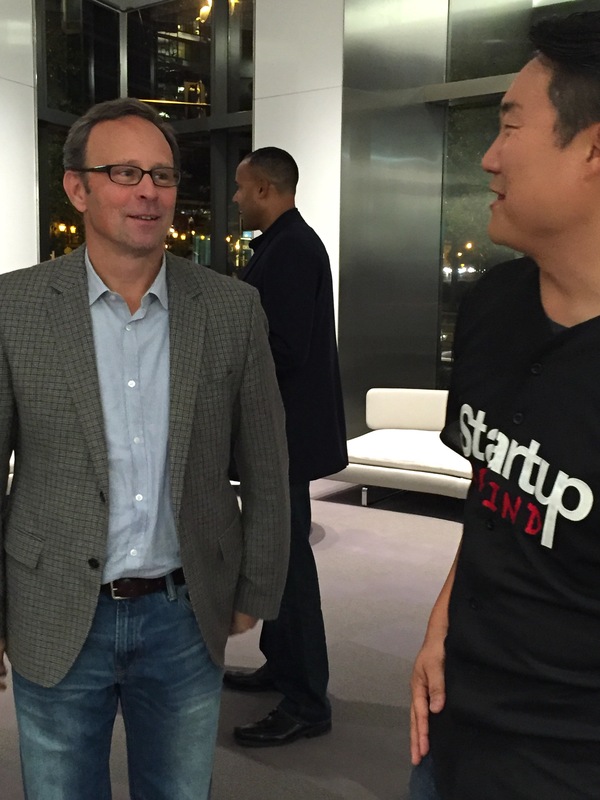 One coincidence surprised and delighted Startup Grind DC director, Brian Park. Not only had both worked at some point in their lives at AOL, each had been born/raised awhile at Loring Air Force Base in Limestone, Maine, the closest military base in the continental U.S. to the Soviet Union. His father was a strategic air command tanker pilot flying tankers over the North Pole to refuel B-52s and his mother, pregnant with Bill, stayed on the base and was issued a pistol should the Russian paratroopers drop in. There must be something in the water at Loring AFB that breeds tech-savvy, risk-taking entrepreneurs. This article was first published at StartupGrind.com. This entry was posted in ad platforms, CTO William Pence, Internet properties, mobile video and tagged ad platforms, AOL, content platforms, Verizon. Bookmark the permalink.